While scientists around the world are still trying to figure out where the liquid water on Mars has gone, a group of researchers believe Martian rivers existed for more than a billion years. Right now researchers are trying to learn about the types of weather that kept driving those rivers, given that their understanding of the Martian climate is still not complete. Researchers at the University of Chicago say they’ve found evidence of large Martian rivers. A study published in the journal Science Advances suggests that the river runoff was so intense that the rivers on Mars were much larger than the rivers on Earth today and existed in hundreds of locations. That makes modeling the Martian climate much more challenging, according to lead author Edwin Kite, assistant professor of geophysical sciences at U of C. From orbit as the Curiosity rover landed on Mars, a NASA spacecraft took photos revealing hundreds of what scientists believe are dead riverbeds. In 2012, the rover sent back photos of rounded pebbles that were rounded, which scientists say was caused by being tumbled along in the bottom of a river for a long time. 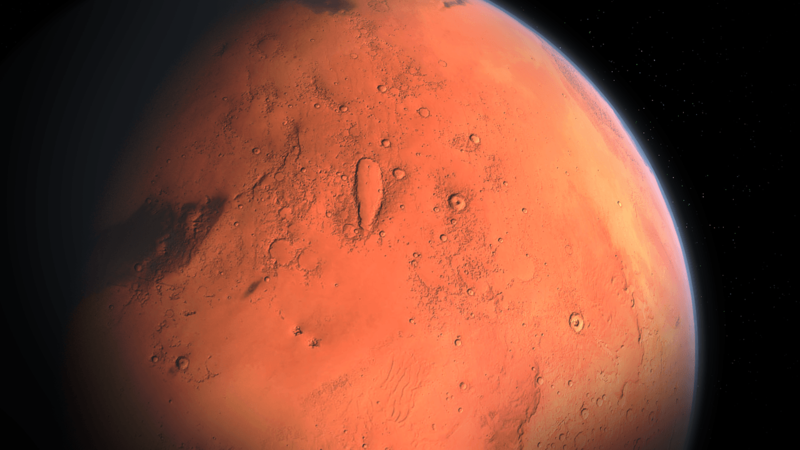 However, researchers are having difficulties determining how Mars could have held liquid water with the extremely thin atmosphere it has today. Even throughout history, the Red Planet has been receiving only a third of the sunlight Earth receives now. That amount of sunlight is not enough for Mars to sustain so much liquid water, scientists say. “Indeed, even on ancient Mars, when it was wet enough for rivers some of the time, the rest of the data looks like Mars was extremely cold and dry most of the time,” Kite said in a statement. To capture a better picture of precipitation on the Red Planet, Kite and his team analyzed photos and models from more than 200 Martian rivers which they believe existed on the planet over the last billion years. The riverbeds could offer answers about how water ran through them and affected the climate on Mars. According to Kite, their study offers guidance for researchers who want to see how the Martian climate worked. Based on the size of the rivers, the researchers say the water was flowing continuously. He also suggested the Martian rivers caused the climate on the Red Planet to have some kind of a “on/off” switch, between the dry and wet cycles.